Peter Jones and Susan Taylor, Spare Room 33, 2015. 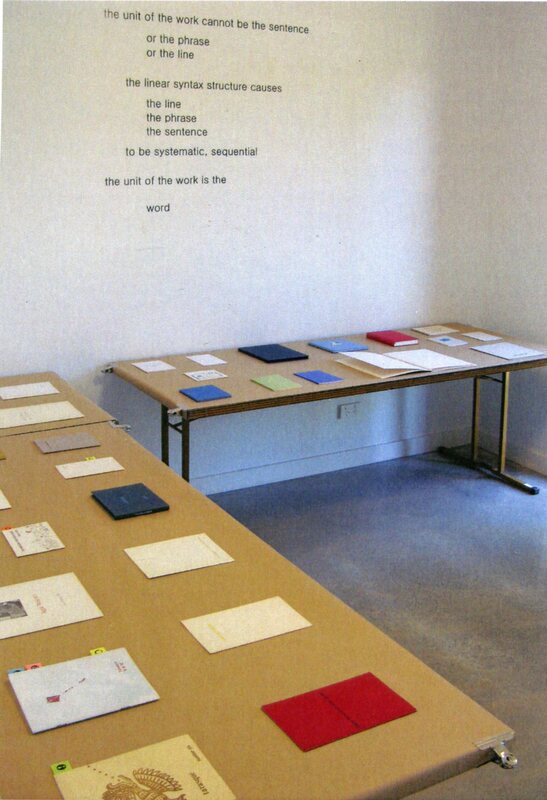 Illustrated catalogue of an exhibition at Spare Room 33, Canberra Australia in November and December 2014, containing sections of introduction, the form of the poem and the subject of the poem, together with a list of works included in the display of poetry, poem cards, poem objects, books, booklets and journals of Simon Cutts and Stuart Mills. 24pp 175 x 125mm colour printed digitally and stapled.